Severe asthma is most effectively managed in a multidisciplinary setting. An experienced respiratory physician must confirm the diagnosis and prescribe management strategies. A specialist nurse can provide education, administer add-on therapies and coordinate disease management. An accredited respiratory scientist is required to conduct lung function assessment to confirm disease and determine disease phenotypes. A pharmacist can provide inhaler technique training and provide advice about concomitant medications. A truly interdisciplinary approach requires that all clinicians and the patient communicate between one another and work together. Effective communication is important to improve disease outcomes. Management of a patient’s co-morbidities requires access to specialists with diverse expertise. This includes speech pathologists, dietitians, psychologists, sleep physicians, gastroenterologists, otolaryngologists and physiotherapists. It is critically important that this multidisciplinary team is coordinated to provide consistent and integrated care. Individuals with severe asthma often have complex disease, including high rates of comorbidity. 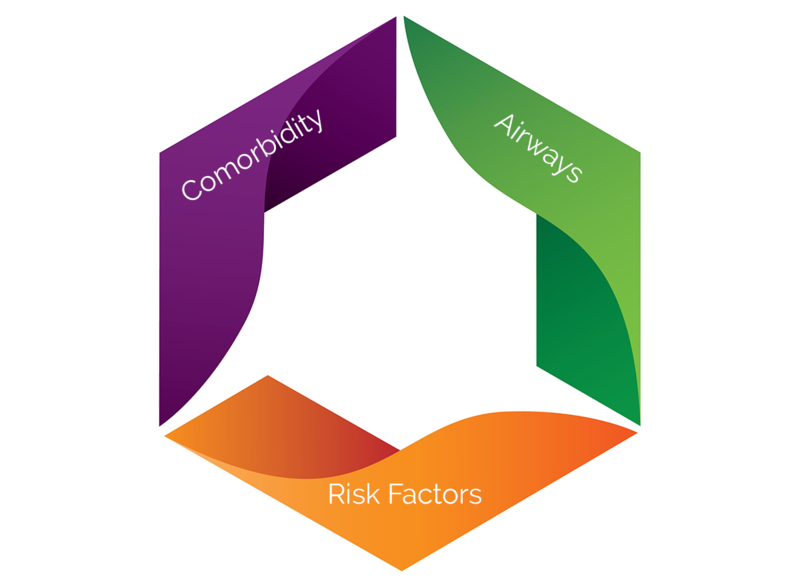 A systematic, multidimensional assessment should be performed across several clinical domains, including airways factors, risk factors and comorbidity (Gibson et al. 2016, Gibson et al. 2017). Airways assessment should include a confirmation of diagnosis and an objective measurement of variable expiratory airflow obstruction. This may be performed in conjunction with a bronchial provocation test, under controlled conditions. However, it should be noted that some people with severe asthma may exhibit minimal reversibility. This assessment should also include consideration of acute exacerbation history and risks and airway inflammation (e.g. sputum assessment or FeNO measurement). Comorbid disease is particularly common in severe asthma. A systematic assessment of comorbidities is necessary to identify relevant conditions. Treatment of comorbidities can improve quality of life and asthma symptoms. Risk factors include smoking, physical inactivity, nutrition, obesity, self-management behaviour and infection. These factors should all be assessed and considered in a management plan as they can impact on treatment efficacy, symptom severity and long-term disease outcomes.